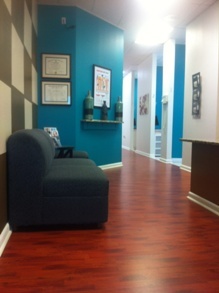 It is a very rewarding experience when given the opportunity to welcome new patients to Comfort Dental Lounge. 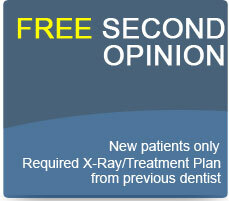 Dr. Jamison and her staff accepts this responsibility with pride and is committed to delivering quality dental care. To thank those existing Comfort Dental Lounge patients who think of us when referring family and friends for dental care, please ask us for a “I LOVE MY DENTIST" certificate the next time you're in the office to give to your family and friends. When new patients you have given the I LOVE MY DENTIST certificate to presents this certificate to our staff they will receive $25 off any treatment completed during their office visit. Upon your referees (i.e., family, friend, neighbor, colleague, etc.) 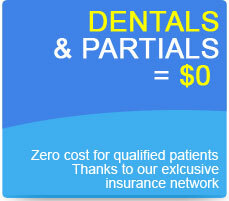 completing their treatment, you will also receive a $25 credit on your account. 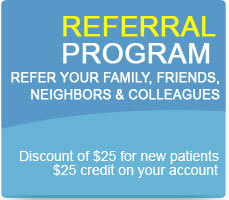 We will apply this credit to your next office visit as our way of saying "thank you" for the new patient referral. You can also click here ‘Comfort Referral Program' to download a certificate and give it to a friend or family member to allow all participating parties to receive the $25 discount. 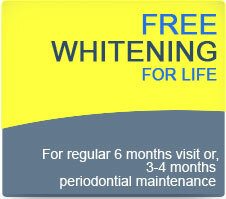 Thank you again for your support, but most of all for your investment in excellent oral health.